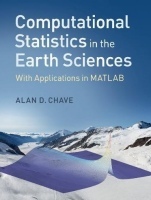 Based on a course taught by the author, this book combines the theoretical underpinnings of statistics with the practical analysis of Earth sciences data using MATLAB. The book is organized to introduce the underlying concepts, and then extends these to the data, covering methods that are most applicable to Earth sciences. Topics include classical parametric estimation and hypothesis testing, and more advanced least squares-based, nonparametric, and resampling estimators. Multivariate data analysis, not often encountered in introductory texts, is presented later in the book, and compositional data is treated at the end. 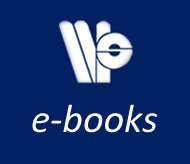 Datasets and bespoke MATLAB scripts used in the book are available online, as well as additional datasets and suggested questions for use by instructors. Aimed at entering graduate students and practicing researchers in the Earth and ocean sciences, this book is ideal for those who want to learn how to analyse data using MATLAB in a statistically-rigorous manner. Preface; 1. Probability concepts; 2. Statistical concepts; 3. Statistical distributions; 4. Characterization of data; 5. Point, interval and ratio estimators; 6. Hypothesis testing; 7. Nonparametric methods; 8. Resampling methods; 9. Linear regression; 10. Multivariate statistics; 11. Compositional data; Appendix: MATLAB functions to produce ternary diagrams; References; Index.